Perhaps it is the latent boy scout in me, but I usually carry a knife on me. 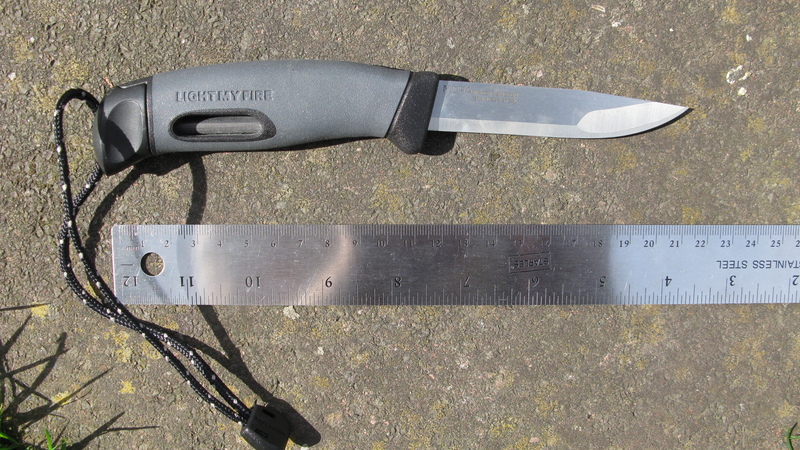 Not due to any maniacal tendencies and the knife is usually stowed away safely in a rucksack, but a blade and accompanying tools get a lot of use. 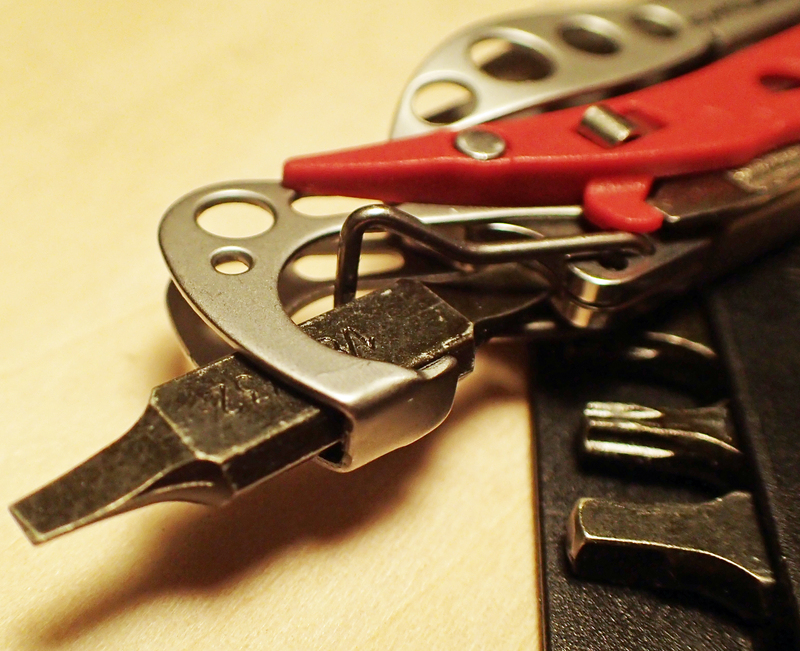 The Leatherman Wave that I use for every day work is ideally suited to the tasks that arise. The assortment of tools being complemented by a selection of mini drive bits in the carry sleeve. Good that this tool is, it is far too heavy and bulky to consider use on walks, be they day or longer. 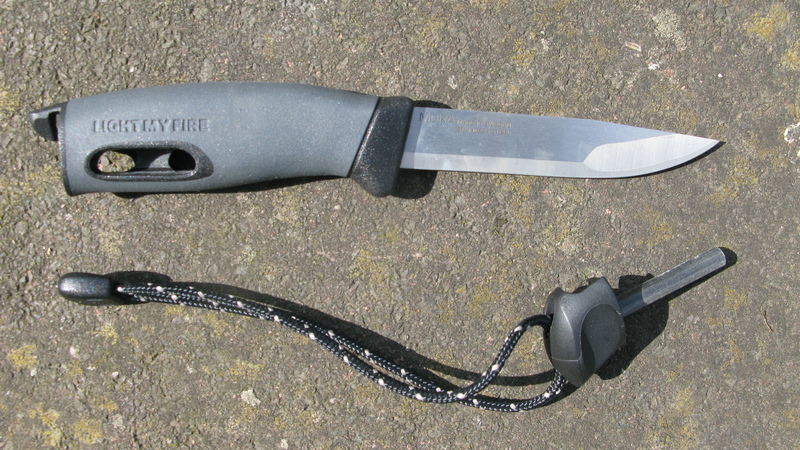 In the 1980s, on many camping excursions or walks I carried a cheap flick knife that I purchased in Germany. The single blade was (obviously) easily bought into use with a single hand and was perfectly up to the minimal tasks required- cutting paracord for bivvies and slices of sausage for meals, well, that was about it! Just as well as the poor blade was easily blunted. These days, with greater disposal income and a wish to carry something slightly less illegal, I use a better quality tool. No one knife is going to suit every type of walk. Instead, Three Points of the Compass finds it best to have a small selection of good quality, well constructed, efficient tools and use which is most appropriate. Those shown below are what I like. Sadly, because pocket knives are a very personal choice, there are probably too many and my preference in manufacturer and materials may seem odd to many. This is an excellent all-purpose knife. The stainless steel blade is not of the best quality but does me just fine. The sculptured grip is comfortable in the hand, though the four layers does make it a little thick. The serrated scissors are very effective at gripping more slippery items when cutting, the slightly longer length of these compared to those supplied on smaller knives is a bonus. The Phillips screwdriver complements the flat head driver well. Toothpick is pretty much useless and the small tweezers are really only effective with very small slivers such as thorns etc. Can opener is effective, as is the nail file. 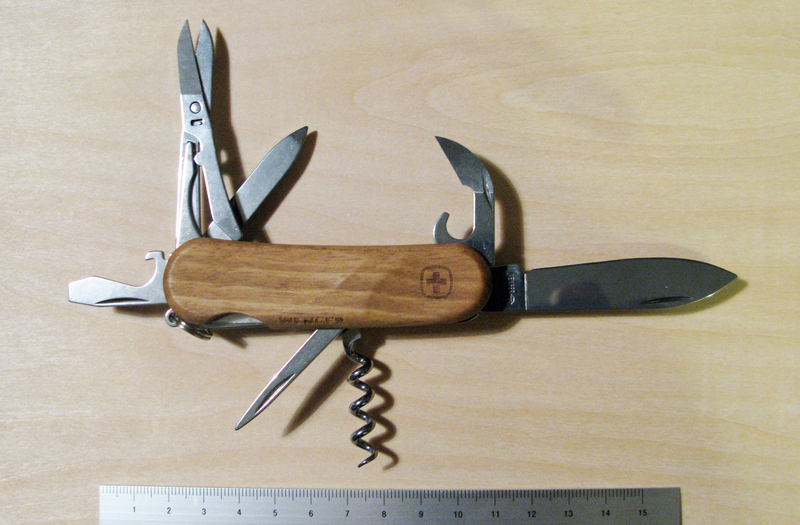 I do a have a bit of a penchant for the wooden handled knives that both Wenger and Victorinox have produced. They feel warm in the hand and because offcuts of waste walnut from other production processes are used in the manufacture, each knife is unique. This is another excellent all-purpose knife that does away with the saw and permits a decent bottle of red wine to be enjoyed. 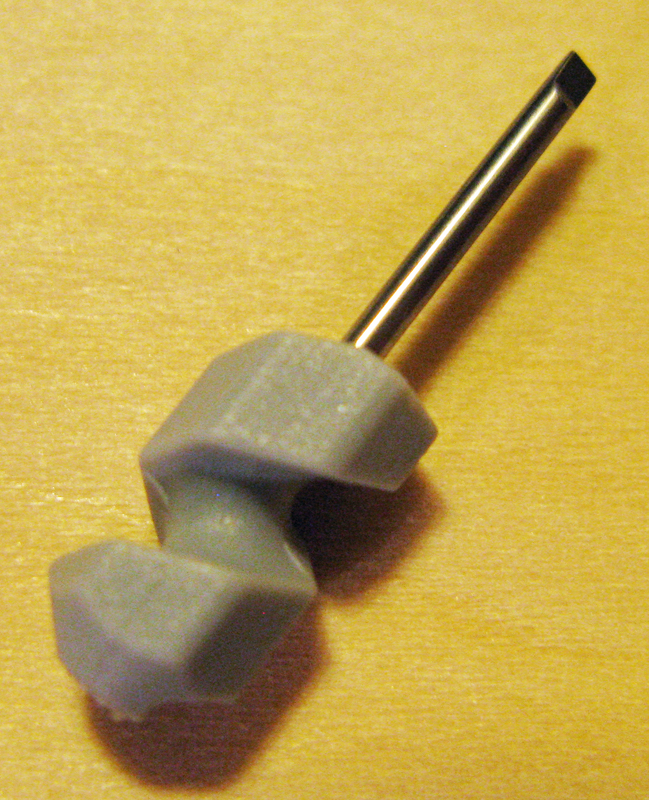 A three layer tool that is not too thick in the hand. The stainless steel blade is not of the very best quality but like the Evo 18 has a good strong profile. The serrated scissors are again very effective at gripping more slippery items when cutting, the slightly longer length of these compared to those supplied on smaller knives is a bonus. I do not miss the toothpick and would need to ensure that the first aid kit had a pair of tweezers in it if relying on this knife. While I do like the wooden handled variants, this knife comes with a black ‘Soft Touch’ handle. A noticeable difference in the hand and is quite pleasant to hold. 85mm long when closed. 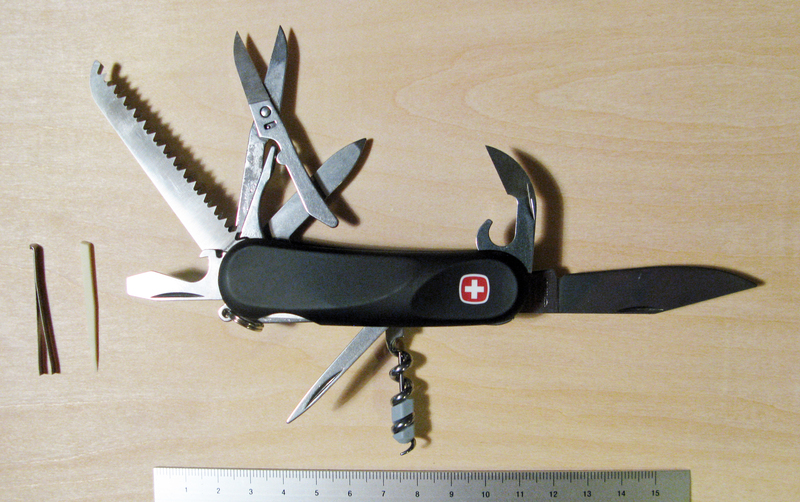 88g, including 1g Victorinox mini screwdriver wound onto corkscrew. This is not supplied with the knife but can be purchased as a separate item easily via eBay or similar. This works well with my glasses if screws come loose. Much of what was said for the previous knives applies to this one. Despite the four layer construction making it quite a chunky tool in the hand, this is probably the best combination of functions for a longer camping trip. Particularly useful if using a wood burning stove. This is a great little blade for a day walk. I can trim plasters or tape, file errant nails and whittle a penny whistle at halts, OK, probably not that last. The simple combination is probably all that is needed for most situations, and at only 20g it is no heavyweight, plus- it looks great! This is another great looking little knife. 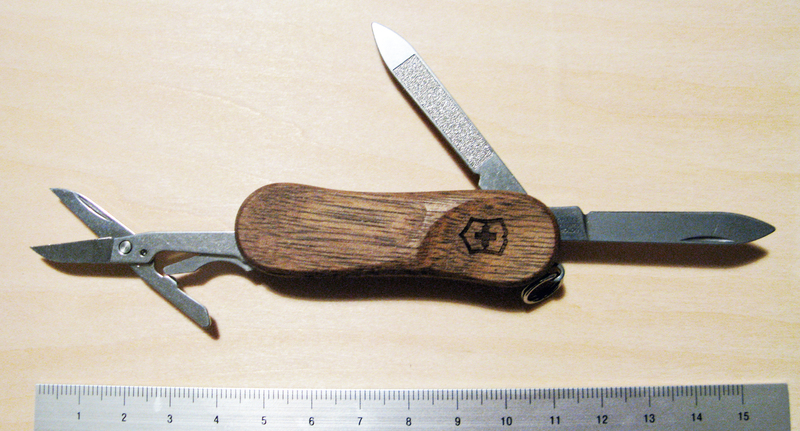 Despite only being a keychain tool, again, like the Evowood 81, it probably has all the tools that are of most use. Though I do feel some useful features are missing. 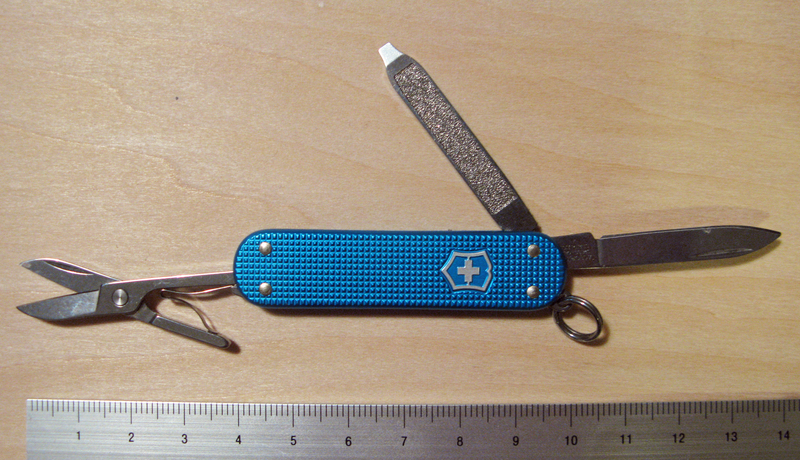 It has blue textured metal alox scales and even comes a handful of grams less than the Evowood variant. This is, however, at the expense of a slightly smaller blade and scissors. The smooth edge to these scissors fail to grip as well as a serrated edge does. Textured alox scales also allow the knife to be extremely thin yet give good grip in the hand, it takes no room yet more than pays back for its paltry weight. It is such a useful classic that this was the knife I gave my daughter when she started serious walking. Though I doubt she has ever shared the enthusiasm that I do for this little gem. 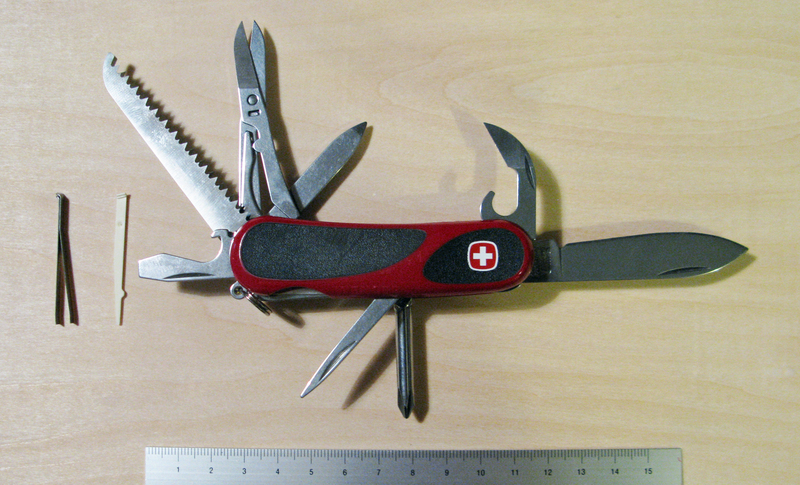 This useful little Leatherman now usually sits in my wife’s minimal first aid kit as it fits the needs of a lightweight tool for trimming and cutting of gauze, tape and plasters admirably, also for the clearing of minor wounds and nail care. Yet another great knife now retired by Leatherman. The closest approximation to the Squirt is probably the Leatherman Micra. But I feel that knife has slight faults that put the Squirt above it in terms of suitability. There is also the Style CS that comes with similar scissors but has a built in carabiner. However I don’t need this on the trail and it adds nothing but bulk and length to the tool. The Squirt S4 is a superb tool for longer hikes. It has just about all of the tools required for cutting and slight repair. While I find the scissors on many of the knives above of superb quality, due to their small size and thin profiles, they do struggle to cut my big toe nails, no such problem with the spring loaded scissors on the Squirt. These are ‘proper’ scissors that do their work well. 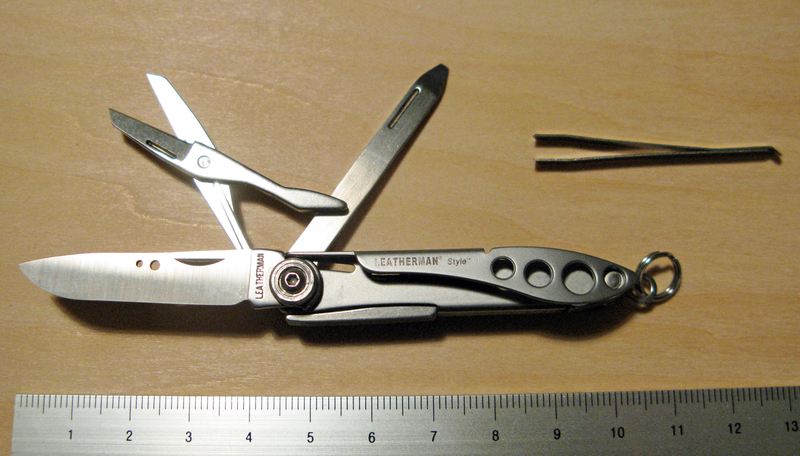 The Squirt shown here is the S4, there is (or was) also the P4 that came with pliers instead of scissors, and the PS4 that included pliers as the main tool alongside a diminutive pair of scissors folded into the tool, again, their small size means that most of the knives shown above are more suited and better choices. There is also the Squirt E4, but that was aimed at the electrician with the choice of tools provided. The Squirt has a stainless steel body with anodized aluminium scales. When more easily available as part of Leatherman’s portfolio, it was produced in a number of colours: Red, Powder Pink and Glacier Blue. Mine is the Storm Grey, a lovely finish. While not to apparent in the photos shown, scales can show signs of wear. One of the reasons that I like this tool is that almost all of the tools are on the outside, it doesn’t have to be opened to access them. The (almost) equivalent, if slightly larger, Micra has the tools on the inside. I like that the knife on the Squirt opens to give a flat tool edge for cutting with no cranked aspect as comes with the Micra. The nail file is to the usual high Leatherman standard. Being a glasses wearer, I like the inclusion of a small ended screwdriver for those. The cap lifter is only just up to the job and is a tad fiddly, but, that said, it does the job. The small tweezers are handy even though I prefer the Sliver Grippers I include in my First Aid Kit. This is my favoured tool for longer hikes and will almost certainly accompany Three Points of the Compass on my Long Walk. If you want one. You need to be quick or lucky. It is only going to be very old stock in any dealer, other than that, it is searching down a second-hand pair online. 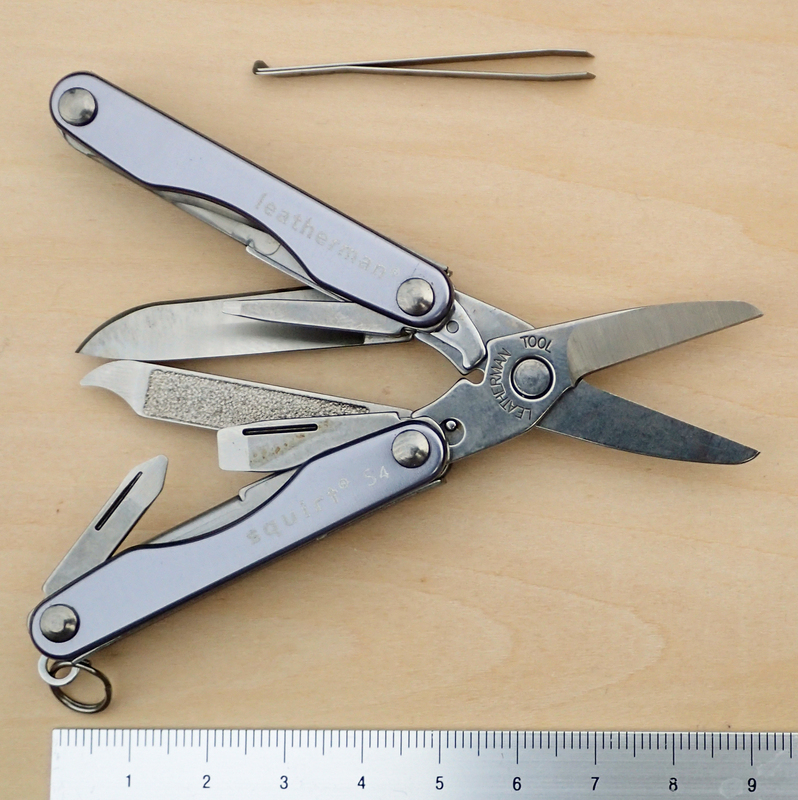 There are still a number of Leatherman Style tools in production. 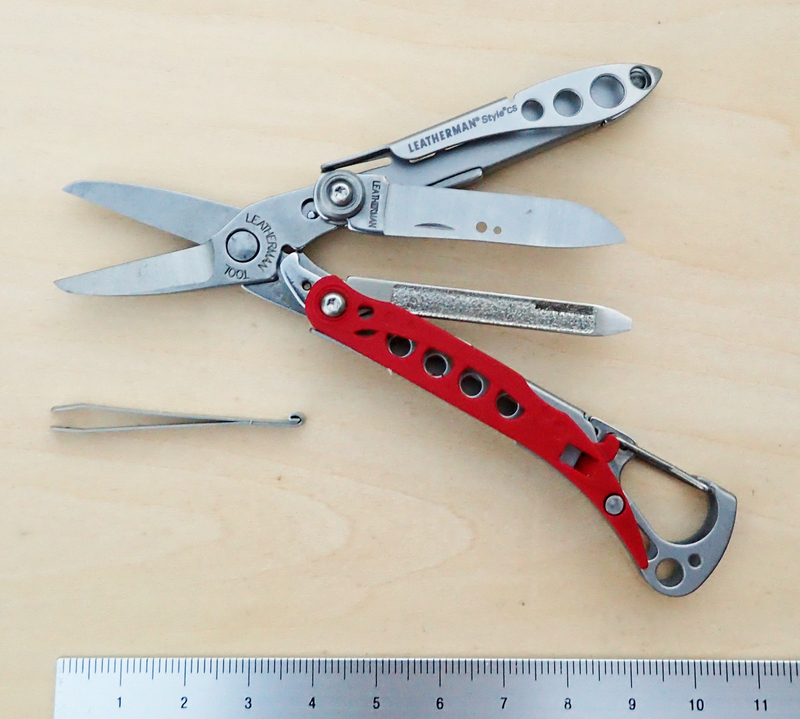 These differ from the Micra, (itself a variety of the aforementioned Squirt, though with tools on the inside), by having an integrated carabiner extension to the tool. The Leatherman Style ES does not require mentioning here as it is specifically aimed at Electricians with its tools selection. The Style PS has pliers with a small folding pair of scissors, but no knife, which means it is limited in functionality. Though that would be TSA compliant. However the Style CS (Carabiner & Scissors) not only has a decent small blade folded into it, but also has a good pair of spring loaded scissors. Just as good as on the ones on the Squirt S4. It is a pretty little tool. The tweezers are a tight fit, sliding into and behind the side scale. Mine has the red glass filled nylon scale (it also comes with blue, black or even pink scales). This tool, while quite functional, wouldn’t take too much of a bashing. Anyone hard on their tools should look elsewhere. The tiny tweezers are limited by their dimensions; while possibly up to the smallest of thorns or splinters, anything larger or more demanding is beyond them . When the outside mounted blade is opened, it is flat to the profile of the tool which makes cutting easier. The small screwdriver is small enough to tighten my glasses and the nail file is pretty effective too. I like this little key chain tool, however my preferred option for longer hikes remains the older Squirt S4. 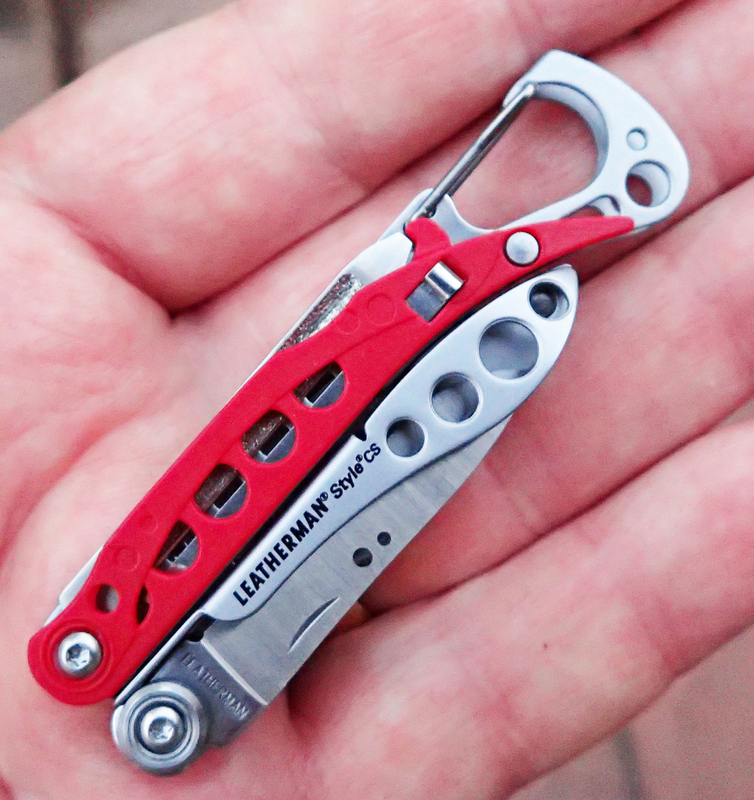 So the Leatherman Style CS found its way into my urban EDC kit. Being small, compact and also having the ability to crack open a bottle of beer has its advantages. I just don’t require the carabiner element on the trail as it does nothing but add bulk and weight. The Light My Fire Swedish Fireknife is a collaboration between Mora of Sweden, who have been making some great blades for over 120 years and Light My Fire. 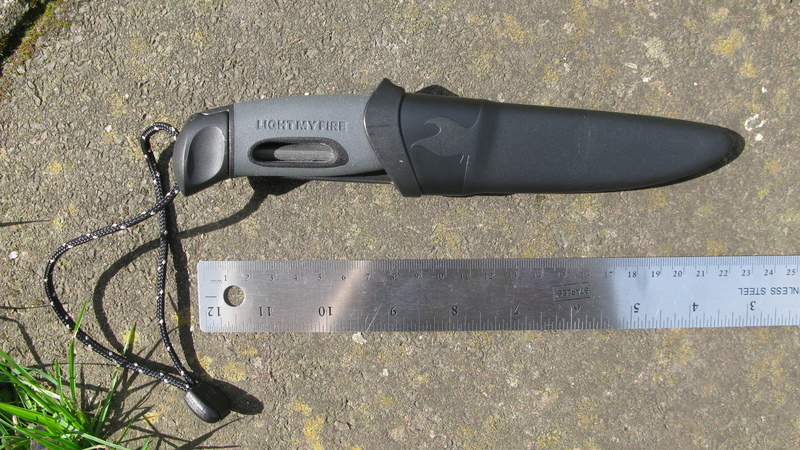 The handle contains a magnesium alloy fire steel. This can be struck against the square ground back of the Sandvik 12c27 stainless steel half tang blade. The knives are made in a variety of bright colours, useful for finding should they be dropped in the undergrowth. Needless to say, my example is a muted grey in colour. The handle is made from a comfortable TPE rubber material. This is a great knife to consider for longer trips or where ‘proper’ cooking is going to be attempted. The knife works well for producing kindling etc. if using a wood stove, or even just spreading peanut butter across a flat bread. The essential sheath is a surprisingly light addition. There is a drain hole in the bottom and a belt clip but I cannot ever see me wearing this at my hip, it has only ever sat within, usually, the top pocket of my pack. It could be that all you require is a blade. Any other tool being deemed superfluous. In which case one of the smaller knives available from Spyderco would prove admirable. The HoneyBee, Grasshopper or LadyBug are all nice little blades. 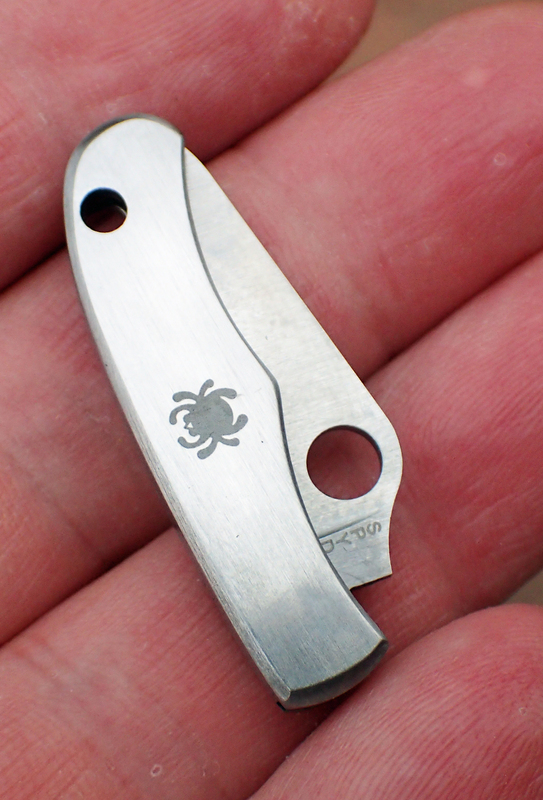 However it is the tiny little made in China, non-locking, slipjoint Spyderco Bug that I carry on my key chain. I don’t take it hiking as I want a little more functionality out of the tool I cart along with me. It has an unpainted and uncoated stainless steel handle with a plain edge flat ground 3Cr13MoV stainless steel blade with drop point, and, well, that is about it. This can be sharpened up nicely and holds an edge quite well. The classic and trademarked hole enables the blade to be opened with ease, even with cold and wet hands. It is what it is. A simple, no frills, one blade knife. Another type of blade that I may consider would be a simple craft blade included in the ‘ditty bag’ or first aid kit. This can be similar to that shown below. 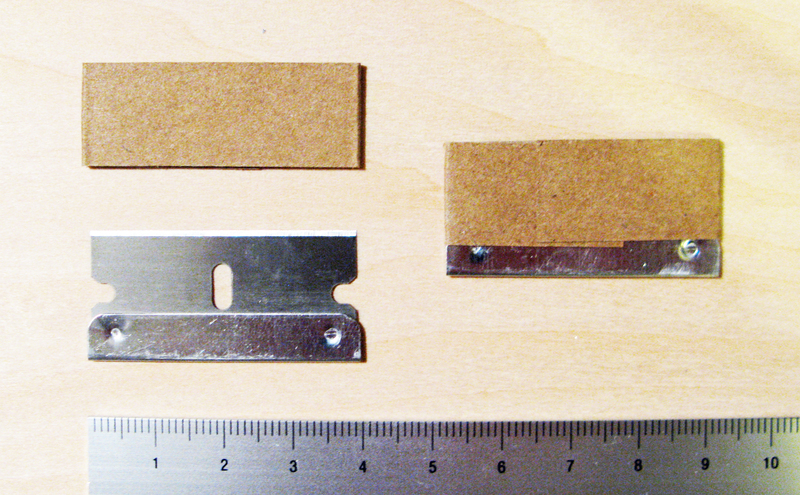 This is a single edge carbon steel razor blade in a thin card sleeve. Fairly cheap to buy, the two shown came in a box of sixty, intended for modelling use. Knifes should be kept as clean as possible, any damp or grime periodically cleaned off and the joints, hinges and surfaces lightly oiled and wiped clear. Knife blade edges will also burr or dull with time and use. Also necessary following or on longer trips (though certainly not on a day walk) is a knife sharpener. There are a number of popular brands utilising ceramic rods in their design, but none are particularly effective at producing a good edge without damage, either to rods or blade. 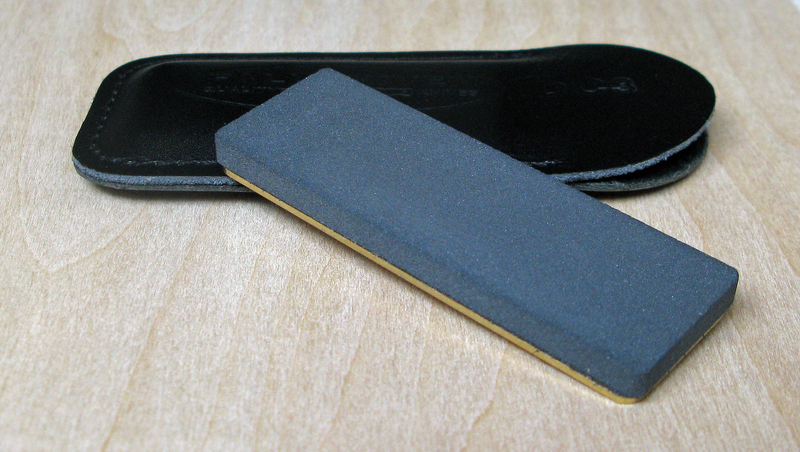 Far more efficient is a flat combination whetstone. Fallkniven are a market leader in these for a very good reason. One of the smallest they produce is the DC3. This small pocket sized variant is so named because it is 3” long, one side of the sharpener being a 25 micron fine Diamond stone, the other side being a Ceramic stone (DC3- geddit). It comes in a small black leather pouch which I have left it in, but this could just as easily be left at home. 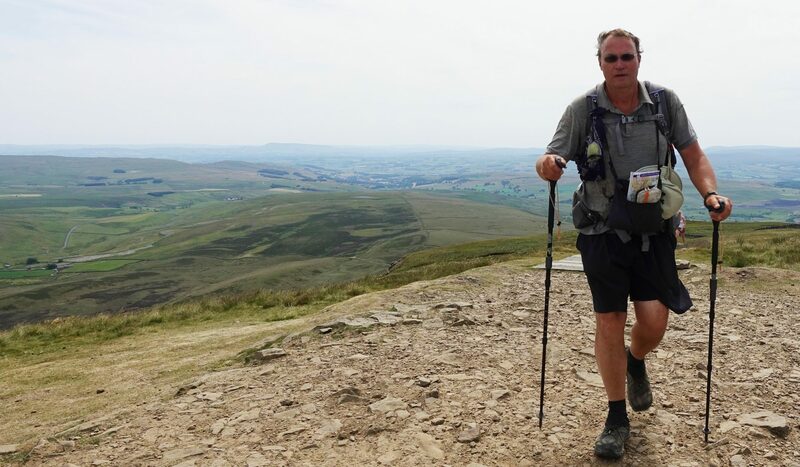 I have heard of some people that use the pouch to do a final strop of the edge but I feel it is to small for this, a leather belt being far more practical, though who takes one of them backpacking? The stone does not need wetting but you do need to know how to use it. The thin diamond side is used first, followed by the thicker ceramic side to de-burr the edge and obtain a good edge. Start by laying the blade flat on the stone, raise the blade spine approx. the thickness of the blade, and start moving the knife in circular motions. An easy test of sharpness is to gently drag the blade, vertically, with care, across the finger nail, it should pick up slivers of nail. The little 5ml, 12g bottle of Multi-tool, food grade, mineral oil by Victorinox is formulated specifically to lubricate and protect knives from corrosion. It comes in a tiny dropper bottle with an extended tip for easy application. Beside keeping a knife clean and the edge keen, it is worth taking the time to lubricate the hinges every so often. This need not be an onerous or frequent task. Possibly a job for a cold and dark winters evening at home when you are champing at the bit and want to get out but cannot. If your knife is coming into contact with salt water, then oiling is a more frequent necessity, along with a good rinse with fresh water to get rid of the salt, followed by thoroughly drying in a dry heat ( I put mine on the radiator) before oiling. Most knives are going to be used with foodstuffs, so a little care with what oil is used is needed. Mineral oils with a very low viscosity are available specifically for the task, though are not cheap. There a small number of good, reputable suppliers, take your choice. Just remember to use oil extremely sparingly and wipe excess away or a knife becomes a big bunged up mess with lint and whatever adhering to the excess oil. There is no need to pack a bottle of oil on the trail, just store with the knives at home and remember it is there to be used.